Chicago is, and will always be, a meat market, so finding a prime cut of beef will never be a challenge. There's also a range of spots to enjoy said meat -- from the classic “guys definitely used to smoke cigars in here” banquet rooms to the recent wave of convention-breaking new-comers spreading outside the boundaries of River North. 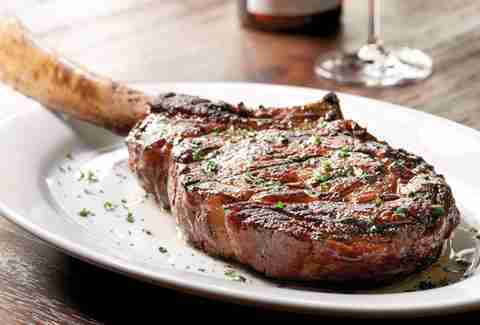 These 12 steakhouses do it best. 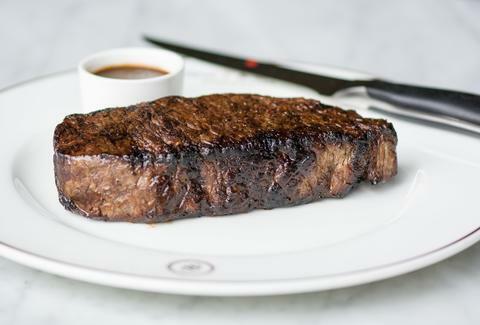 Prime steaks are both cut and dry-aged on-site before being brought into a 225-seat, red velvet-boothed dining room flanked by towering wine shelves. 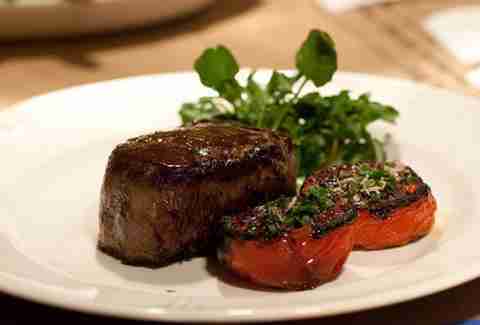 Get a load of the river and the skyline as you take on a marinated Cajun rib eye or blue cheese-topped filet. 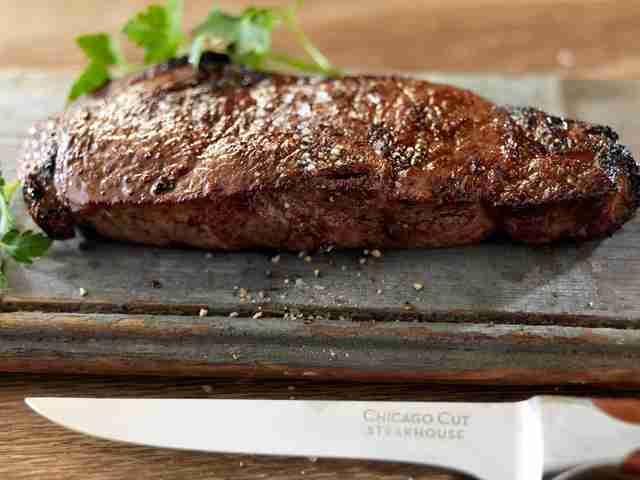 Chicago Cut's key to staying on top of the steak game, according to managing partner David Flom: Nebraska beef that’s raised around 1,300 feet above sea level for the best balance of dense muscle and intense flavor. This cozy, carnivore-friendly brasserie may lack the opulence and prime real estate of Chicago's Downtown steakhouse set, but a meal here is nothing if not fit for royalty. Stop in during lunch hours for a best-in-show Reuben sandwich, then come back for a dinner packed with French-meets-German stunners like short rib beignets, leek spaetzle, and a 55-day dry aged ribeye draped in creamy Bearnaise. Gibson’s mammoth steaks are crowd pleasers for convention-goers, high rollers, celebrities, gold-diggers, and gold-digging celebrity high rollers who go to conventions alike. The success of their menu hangs on being over-the-top with its items, ranging from king crab claws to a 48oz porterhouse to a gargantuan macadamia turtle pie. His Airness doesn’t only have a fever for crushing the Jazz, he’s also bringing a killer lineup of steak to the table (via a glass catwalk overlooking the InterContinental Hotel), including a 45-day dry-aged Delmonico with a ginger-balsamic vinegar jus that you’ll want to lap up with your tongue. With a 35-day-aged Kansas City sirloin and a 75-day-aged bone-in rib eye, you won’t find a more mature cut of beef than those coming from Primehouse’s Himalayan salt-tiled aging room. The originator of in-house dry-aging even brings the process into its tremendous blue cheese chuck burger. Dining at Brendan Sodikoff’s speakeasy-style steakhouse is like being thrust into a meats-and-Scotch-filled Ron Swanson fantasy. 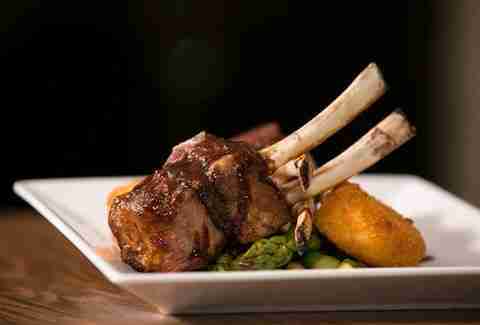 Their unbeatable boeuf is served up in many forms, such as Béarnaise filet mignon or bone marrow spread on fresh frites. With lauded chefs Chris Pandel and Meg Galus at the helm of the dinner and pastry programs, respectively, you can expect an exceptional experience from chopped steak tartare appetizer to the salted caramel-drenched S&S Cracker Jack dessert, and every meaty course in between at this modern steakhouse on Fulton Market. 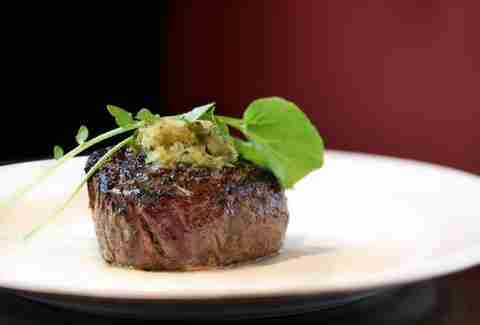 The steak selection ranges from an 8oz filet on the petite side to a mouthwatering 34-day dry-aged porterhouse on the colossal side, and also includes a buttery beef wellington for two complemented with mushrooms foie gras, and spinach. 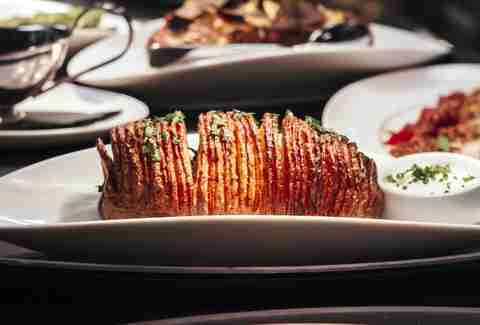 Though a mere outpost of an Arizona-based steakhouse chain, swanky Mastro's has woven itself as deeply into to the fabric of the local steakhouse scene as its Chicago-born counterparts. The posh concept sprawls across two levels and spotlights inventive martinis, more than 15 steak and chop preparations, and a see-and-be-seen piano bar that's open until 2am daily. With its sleek digs and balanced menu, this sophisticated collaboration between the Melmans, Rancics, and Chef Doug Psaltis effortlessly bridges the gap between old-school and new-school steakhouses. The black truffle burger topped with rich foie gras butter is one of the most luxurious power lunch options in town, while the expertly crafted cocktails, thoughtful vegetable sides, abundant steaks, and table-side baked Alaska share the spotlight at dinner, making for a meal that's as impressive as it is well-rounded. 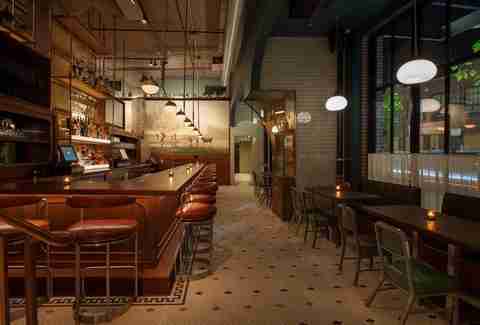 A 200-seat steakhouse with an old-school feel (plush booths, dark wood trim, etc. 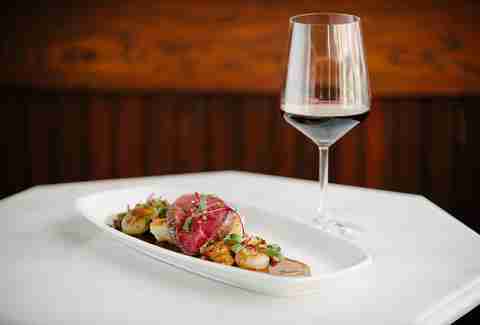 ), Benny's massive global wine list and cocktail menu pairs with their Allen Brothers steaks and playful spins on classic dishes, including liver & onions made w/ foie, pork belly, and caramelized onions. A riverside classic that draws with its unpretentious atmosphere, Mad Men aesthetic, and -- on top of a vaunted roster of beef -- the grilled calamari is mandatory eating. 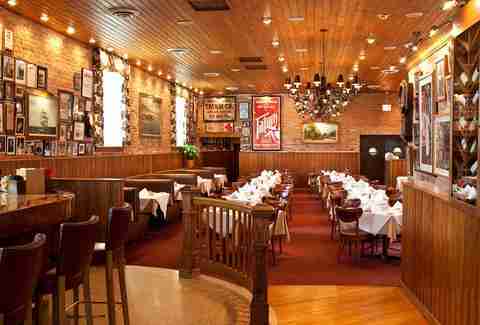 This Italian steakhouse is Chicago’s oldest (serving Frank Sinatra and Keanu Reeves!! 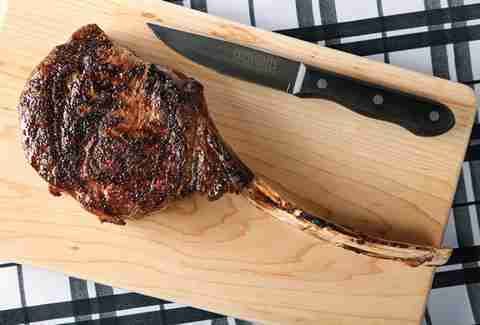 ), and holds its reputation as a meaty flagship with its broiled, wet-aged T-bones, strips, and rib eyes. 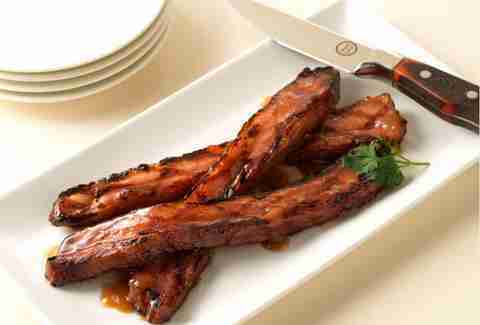 Senior editor Sean Cooley regrets ever having tasted steak sauce His half-baked musings are tweeted at @SeanCooley.